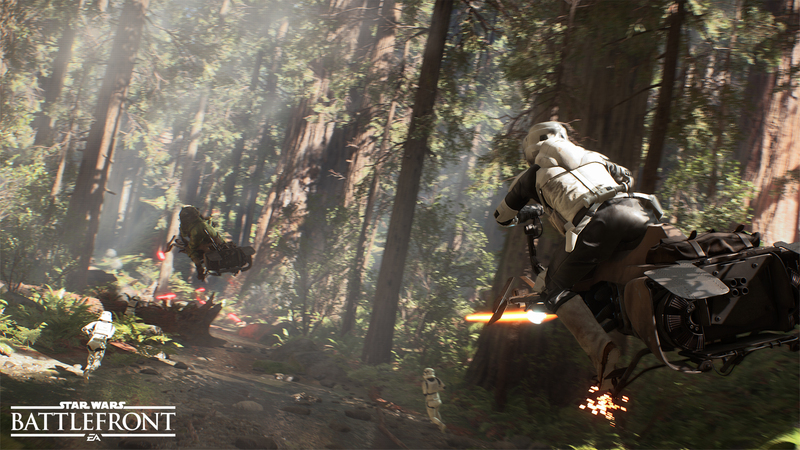 After the announcement of the new Star Wars Battlefront at E3 2013, the reaction was a blend of enthusiasm and skepticism. 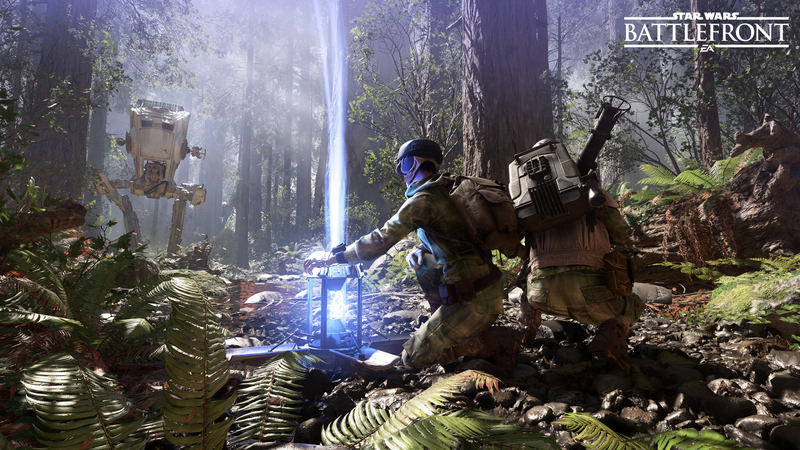 DICE is at the helm, and there are a lot of players out there that felt a little disheartened by the issues that have plagued DICE's Battlefield series in recent years. When Battlefield Hardline launched, I didn't see nearly as much outcry about those ongoing issues, which gave me, and I assume many others, a lot of hope for Battlefront's prospects. 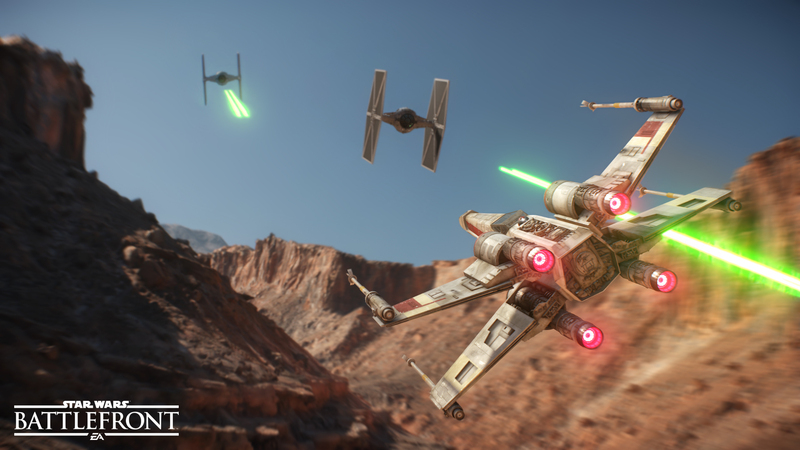 There are still some very real concerns about the game, given the information that has already come out, like the exclusion of space battles of any sort. Naturally, since these are based on verified gameplay exclusions, there's no way to assuage the fears except by offering something else to make up for it. Whether the mission-based single/co-op experience alongside the 40-player multiplayer mode and co-op survival mode will do the trick, but having finally had a chance to play the survival mode, I can say that I, for one, was absolutely thrilled with the experience. The survival mission I played had me alongside another player via split-screen (I've lamented the loss of split-screen options in recent games, and I'm incredibly pleased to see it return) as rebels, fending off waves of Empire troops and vehicles, namely the AT-ST. The demo was abbreviated, so there were only six waves, but the full survival mode will apparently feature 15 waves in all. Given the difficulty ramp I saw within the first six waves, however, I have a feeling this will not be something you just hop in and complete in one try, unless you're particularly talented at shooters. Before you start, you'll get to pick from a few weapon options - I chose the Stormtrooper standard issue E-11 blaster rifle - as well as secondary loadout, which at present just offers an offensive and a defensive option. The defensive has an anti-vehicle weapon and a short-term shield for when you're under fire with no cover available. 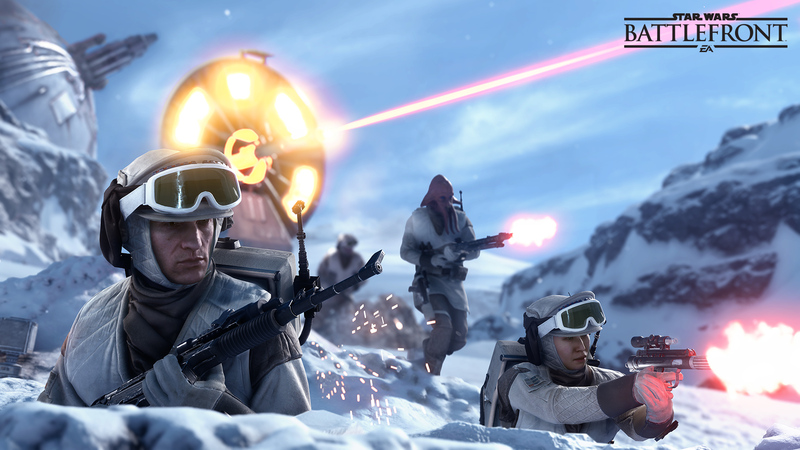 The offensive choice has a triple-shot grenade launcher and a toggle for your primary weapon that makes it dramatically more effective against the AT-STs you'll encounter. Both have access to the jump boost, which launches you into the air a decent way, allowing some additional vertical mobility. 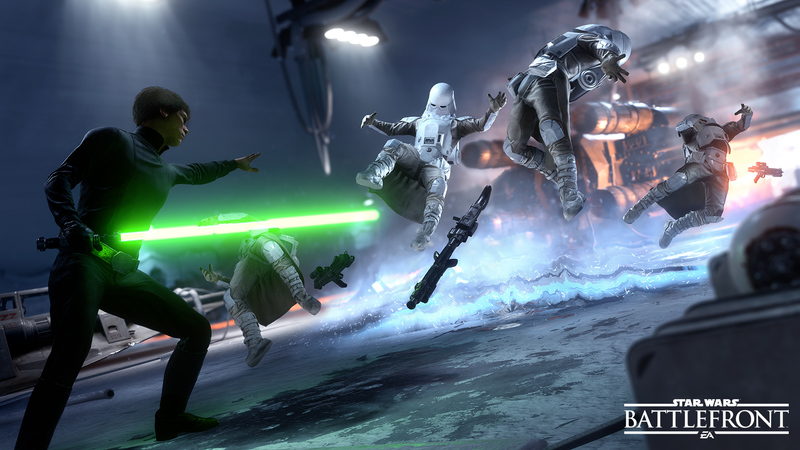 As the waves progress, the enemy units will get more and more powerful, but as you might expect, you start off taking down basic Stormtroopers, who, in line with Star Wars canon, have terrible aim, and only take one hit to eliminate. In the second wave, you'll start coming across more powerful sorts of Stormtroopers, with heavy blasters that deal significant damage, and enough armor to take a number of hits before they're incapacitated. 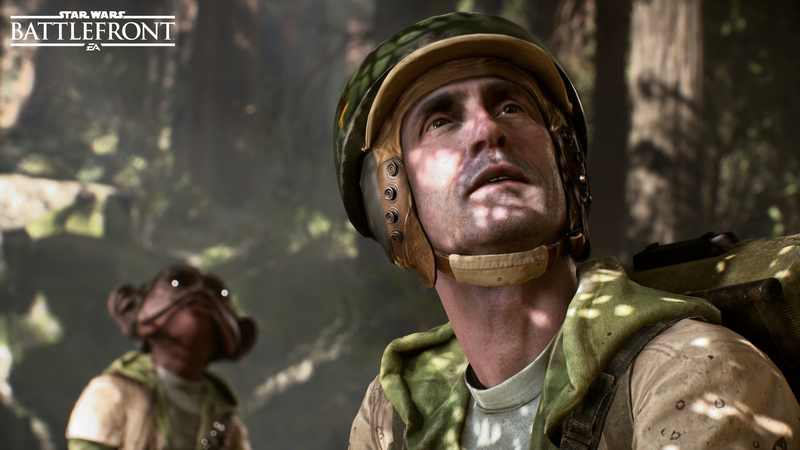 As I mentioned, you'll even face down some AT-STs along the way, which demand that you take great care to stay in cover, and utilize your special anti-vehicle abilities in order to take them out. You'll encounter snipers, which you'll need to either flank, or just be a better marksman than they are. 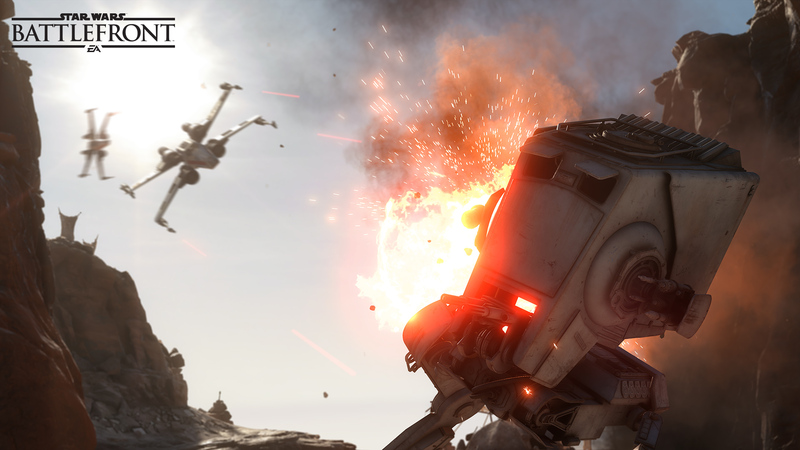 Then, there's the single most frustrating enemy I saw, Stormtroopers with personal shields and jetpacks. As long as they're on the ground and moving into position, they have an impenetrable energy shield. It's not until they find their spot, and jetpack into the air that the shield goes down, and you can finally take your shot. The variety of enemies, even in only six rounds of survival mode, was fantastic to see. Given that the three-faction system from the original Battlefront is gone, and you're left with just Rebels and Empire, I was concerned that there wouldn't be enough diversity among the enemies. I can't say for sure just how many different enemy types you'll run into, but this is definitely a strong start. The gameplay itself was stellar as well, although it seemed strangely accessible for someone (me) that's terrible at shooters in general. Aiming down sights and firing off a few rounds at an incoming Stormtrooper squad was easy, accurate, and incredibly satisfying. Of course, this was strictly against the AI, so if you're looking for more of a challenge, there will be real players to compete with in the multiplayer mode. 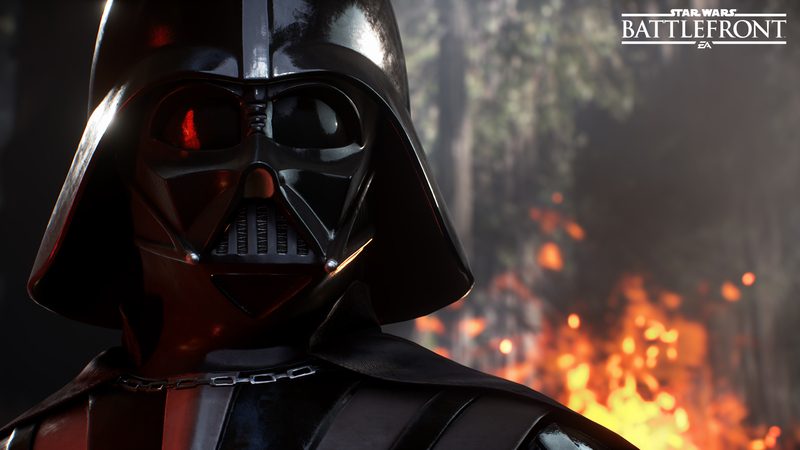 Overall, it didn't feel exactly like Battlefront of yore, but those changes didn't detriment the experience at all, and it was more or less everything I'd hoped it would be. I didn't get to play the multiplayer demo quite yet, but I intend to before the week's out, and I'll be sure to update this post with more information on that when I have it. 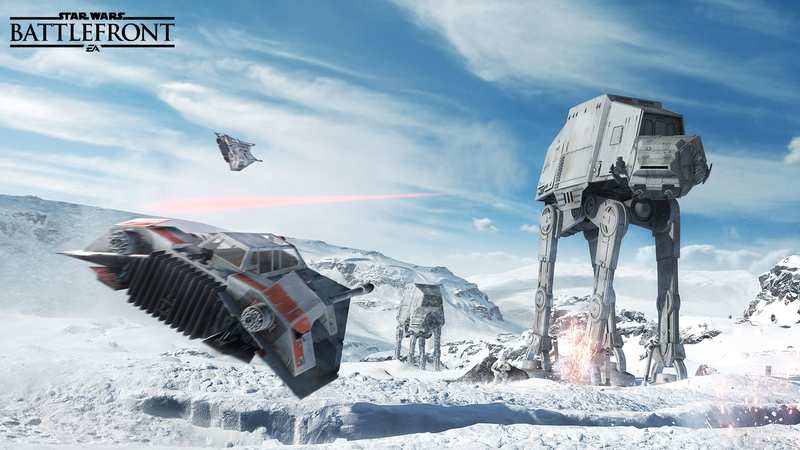 Star Wars Battlefront hits Xbox One, PS4, and PC on November 17.